The PIL wanted the Union government to implement the Law Commission recommendations to ensure free and fair polls. 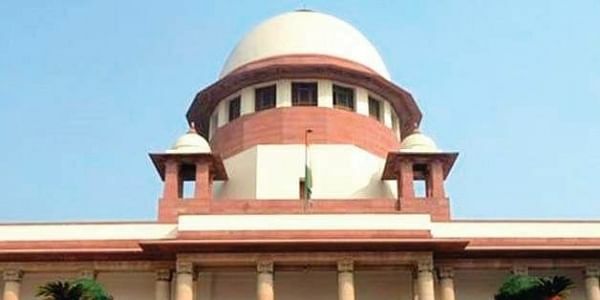 NEW DELHI: The Supreme Court today refused to entertain a plea seeking a direction to the poll panel to nullify an election result and conduct fresh poll if NOTA gets the maximum votes in a constituency. A bench of Chief Justice Dipak Misra and Justices A M Khanwilkar and D Y Chandrachud allowed the petitioner to withdraw the plea which had also sought a direction to the Election Commission of India (ECI) to restrict those candidates and political parties, whose election have been nullified, from taking part in fresh polls. The apex court termed the suggestions as "unworkable" and said "we cannot destroy our democracy just like that... holding an election in our country is a very serious and expensive business. Today we cannot say that unless a person gets 51 per cent of votes, he cannot be declared elected." Sensing the mood of the court favouring dismissing the plea, petitioner advocate Ashwini Kumar Upadhyay, also a Delhi BJP spokesperson, chose to withdraw the petition. The petition had also said the right to reject and elect a new candidate will give power to the people to express their discontent.